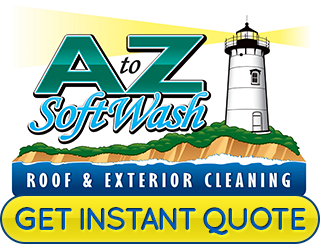 For many years, A to Z Softwash has helped homeowners in Martha's Vineyard and other communities keep their homes looking great. Our professionals use soft washing techniques in order to ensure that the materials are protected during the cleaning process. In this way, we can always provide the best possible results. We never resort to high pressure washing when soft washing is just as effective. An untrained and inattentive power washer can cause extensive and irreversible damage to exterior cladding and other building materials. Our methods are safe. 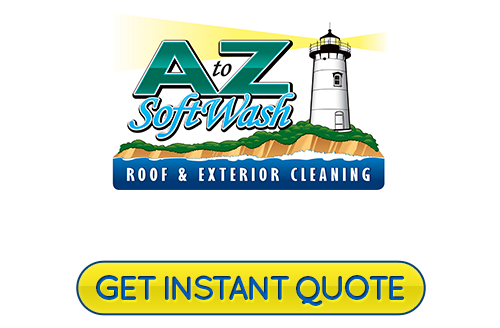 Call A to Z Softwash if you need help with roof cleaning or exterior pressure washing in Martha's Vineyard. Our staff would be happy to answer any questions that you may have and set up your appointment today. Every roof will develop a darker color over time due to grime buildup. Some roofs also have problems with black algae stains, rust streaking, or constant debris being dropped by trees. All these issues need to be dealt with because it is damaging to the roof shingles. A to Z Softwash has the perfect solution to these problems. Our team is trained and skilled at providing high-quality soft wash roof cleaning service. This process effectively removes stains, years of grime, and any harmful organisms that use your roof for food. Whenever you hire a professional exterior pressure washing service, you expect to have sparkling, new looking surfaces. Whether we are cleaning your roof, siding, sidewalks, driveway, deck, or fence, our pros will make your home look extremely clean. Many homeowners tell us that they had no idea that these surfaces had darkened so badly. This is understandable because it's hard to tell when you see it every day. When you hire us, you can rest assured that your property will be cleaned while being protected in the process. 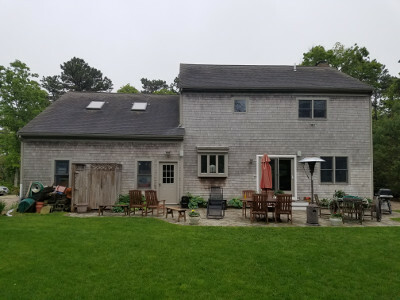 If you are looking for a Martha's Vineyard, MA roof cleaning and exterior soft washing expert, then please call 508-209-7795 or complete our online request form.